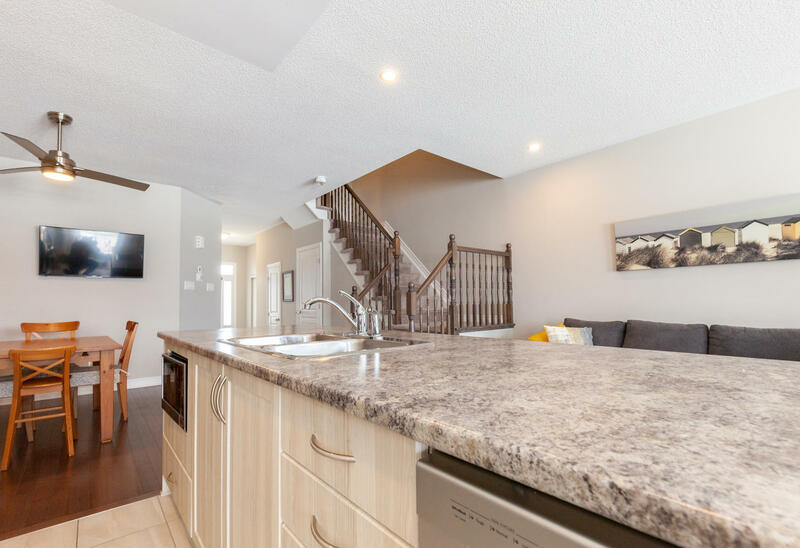 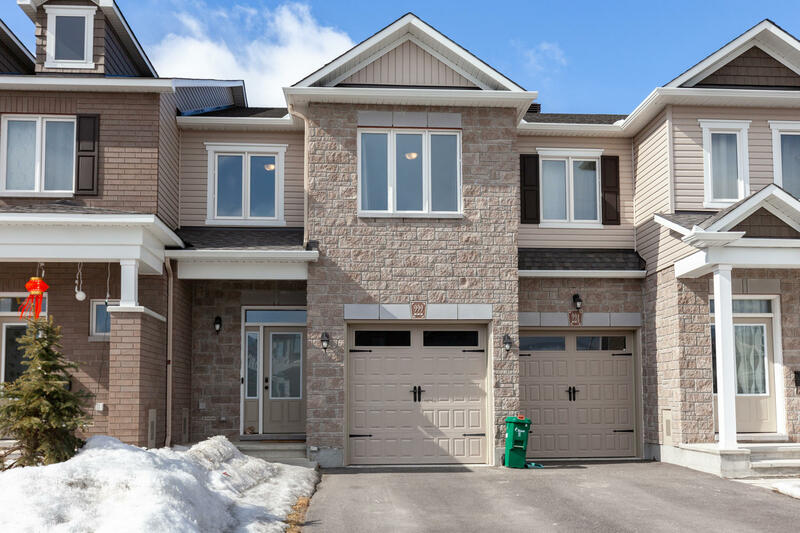 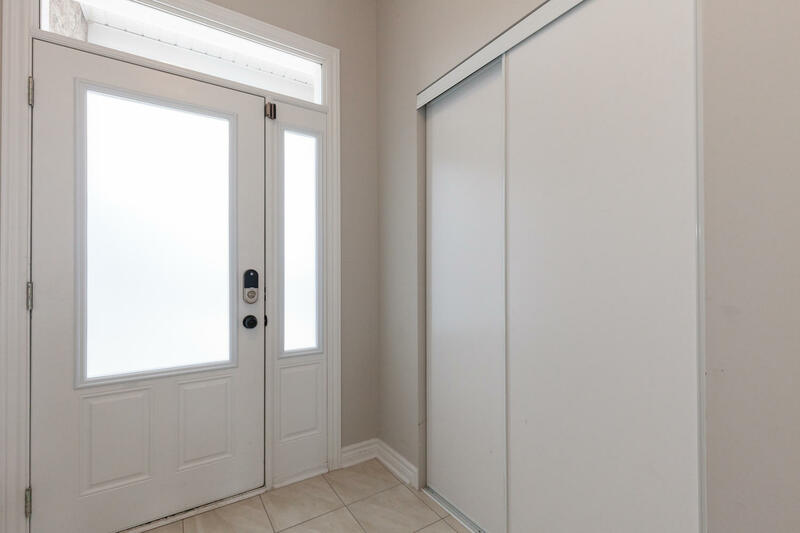 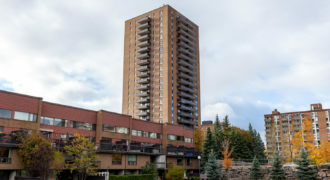 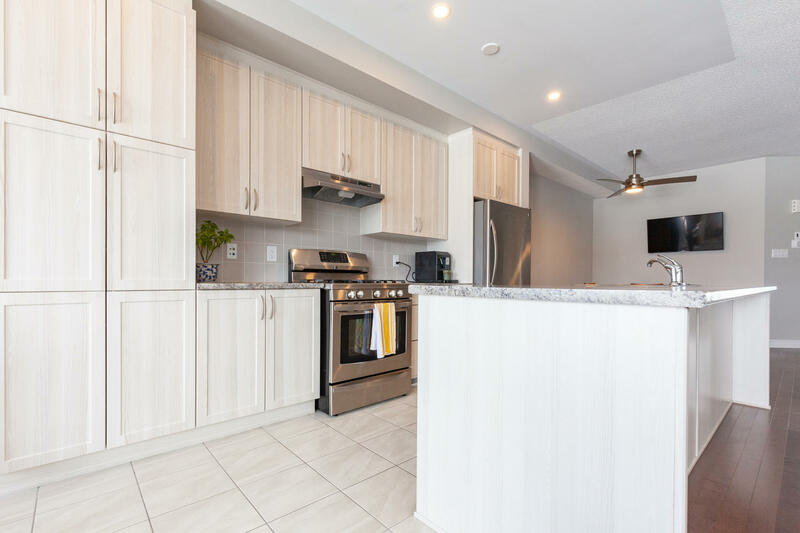 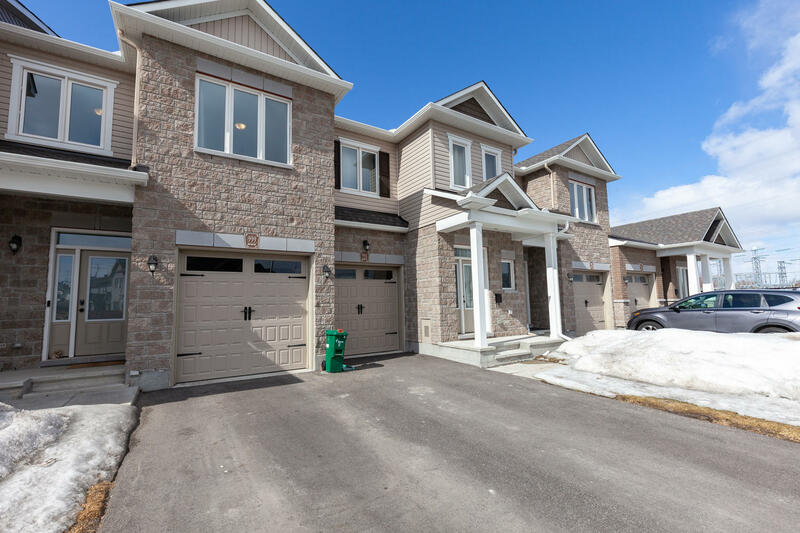 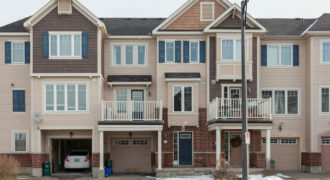 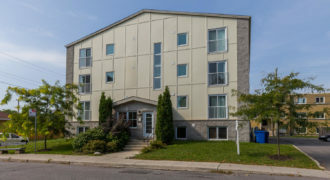 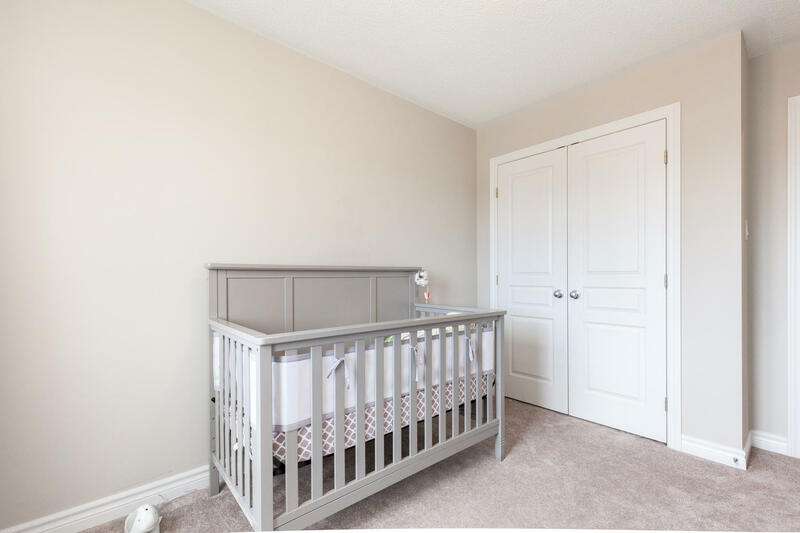 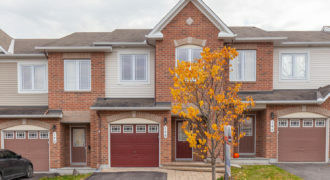 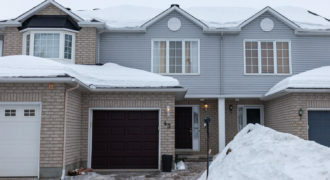 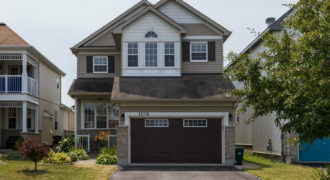 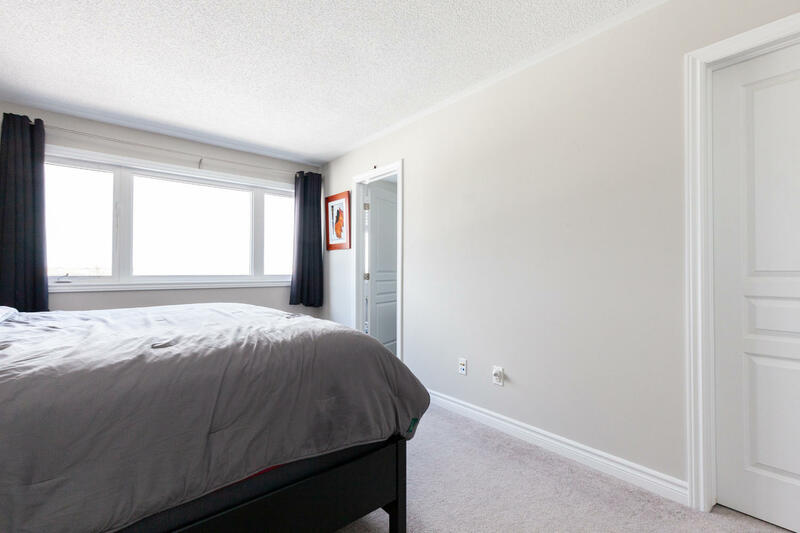 Welcome to 222 Akerson Road, this immaculate 3 bedroom townhome is located in the Trailwest community of Kanata. 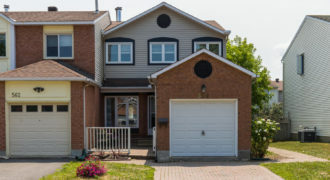 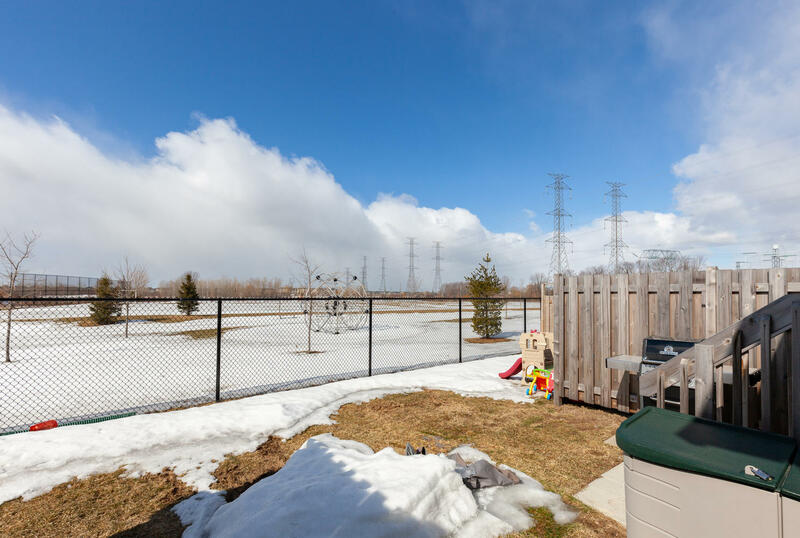 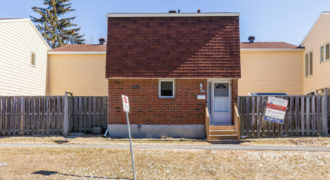 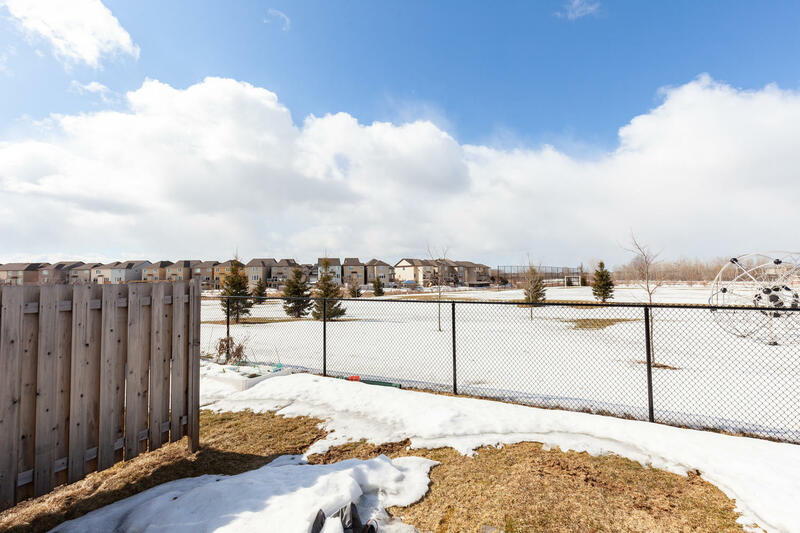 Backing onto a gorgeous neighbourhood park ensures maximum privacy and backyard enjoyment. 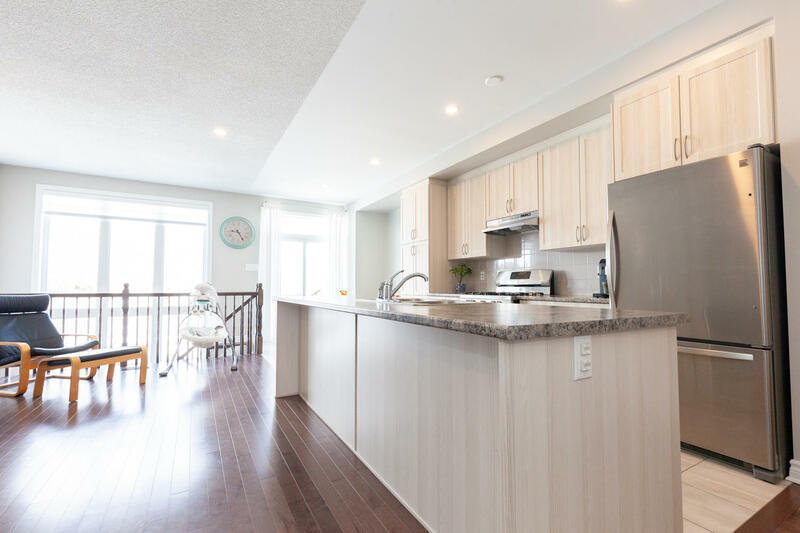 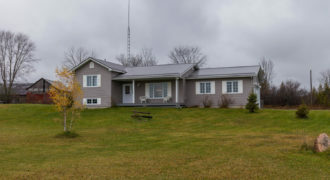 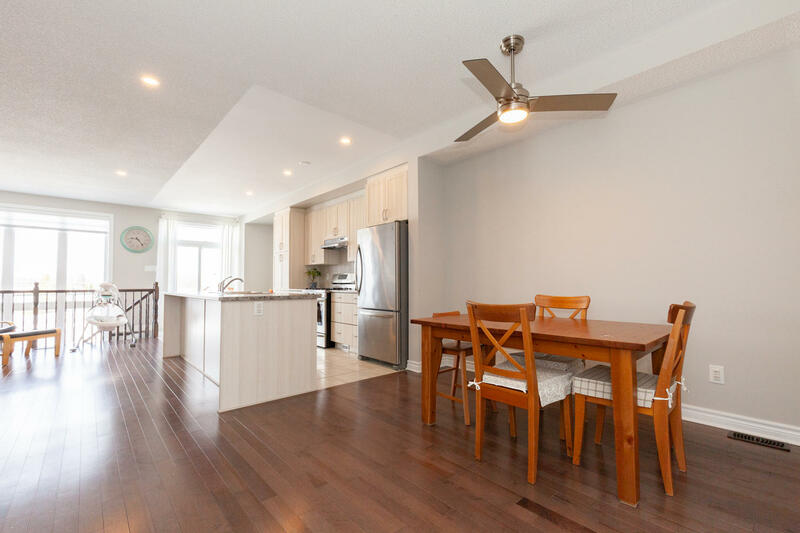 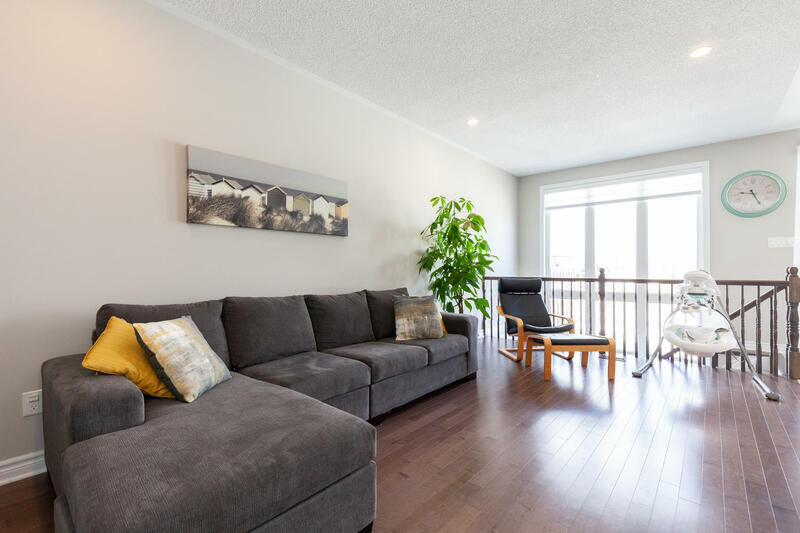 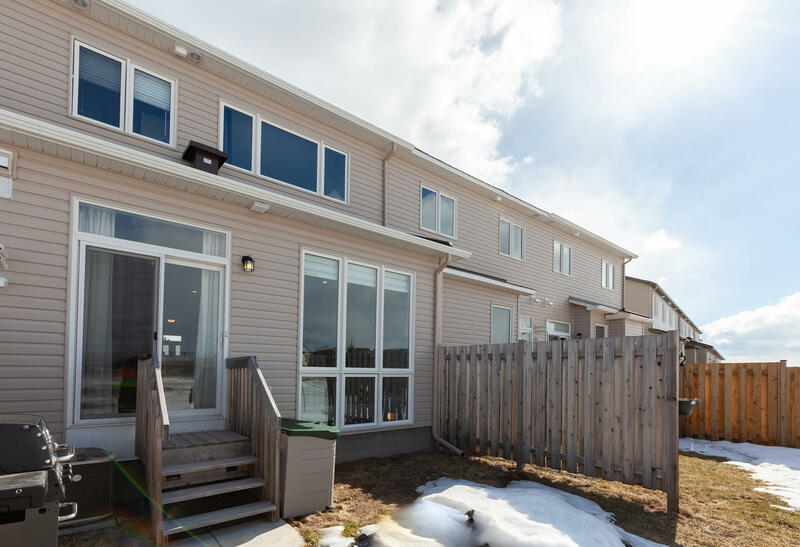 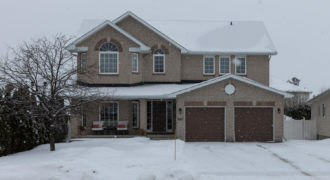 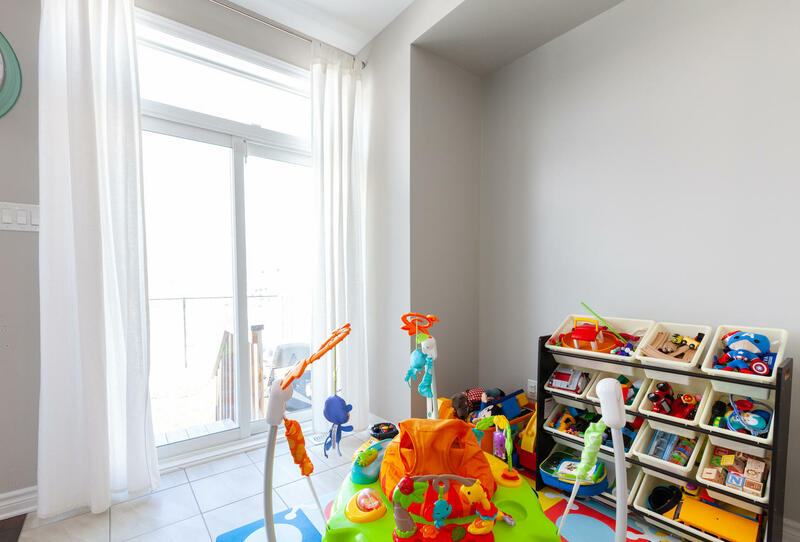 The beautiful main floor features open concept living with 9 foot ceilings and gleaming hardwood floors. 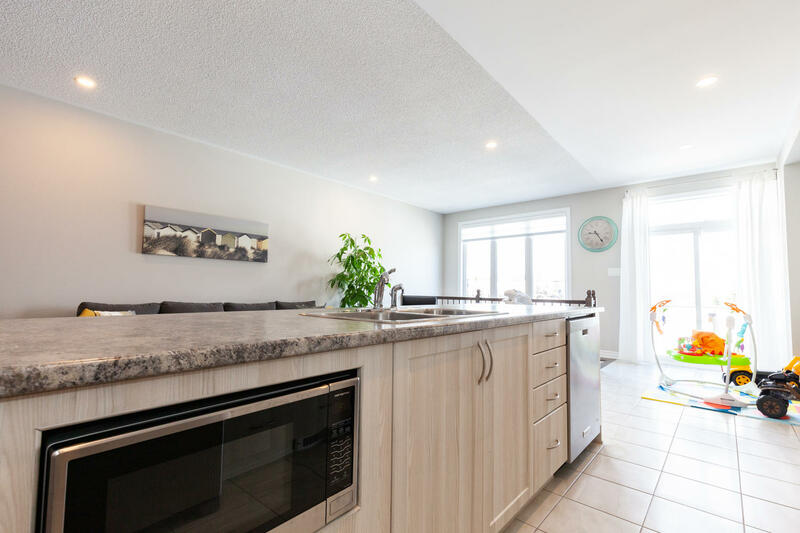 The sunny eat-in kitchen with has an oversized island which can easily accommodate several people having a quick meal or kids doing homework. 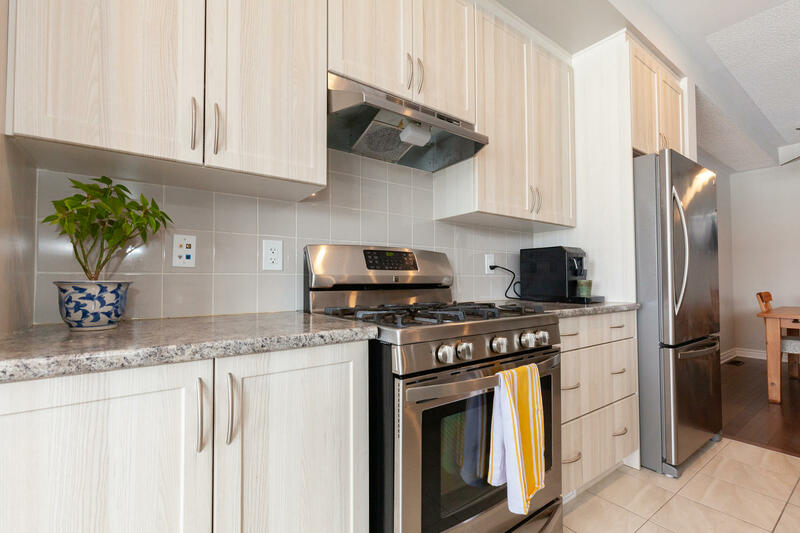 The quality stainless steel appliances include a natural gas stove. 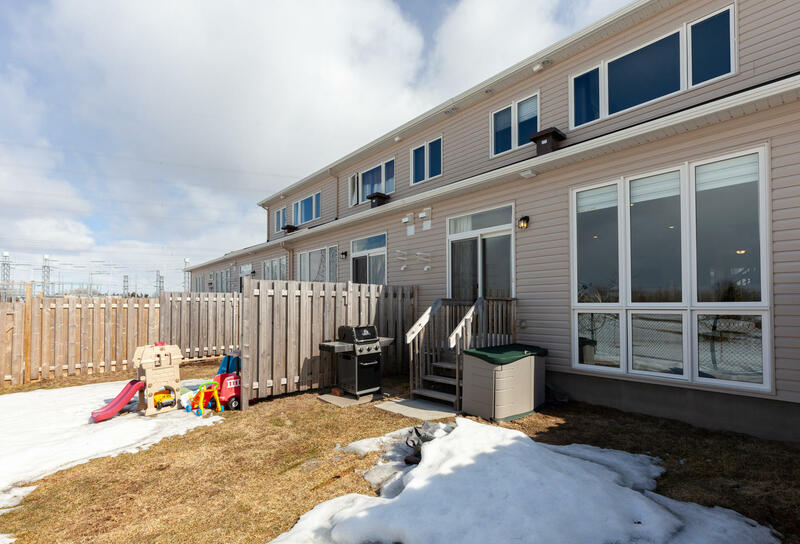 Patio doors open out to the yard which backs directly onto the wonderful parkland. 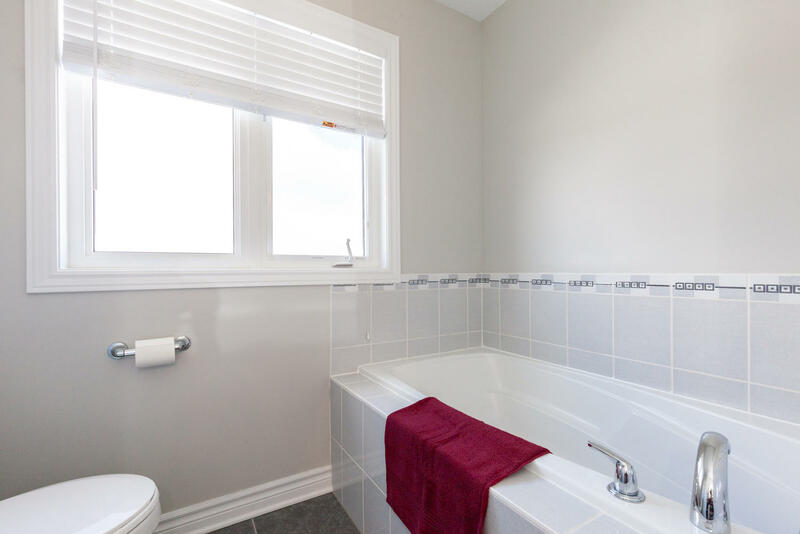 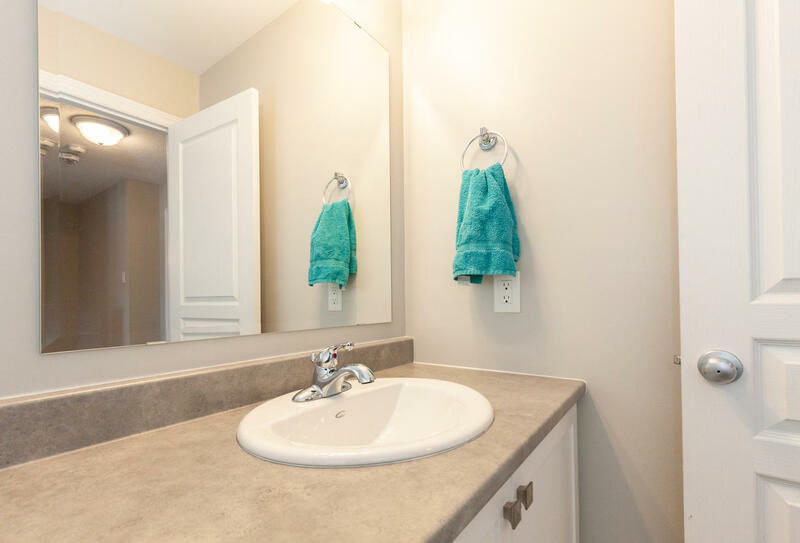 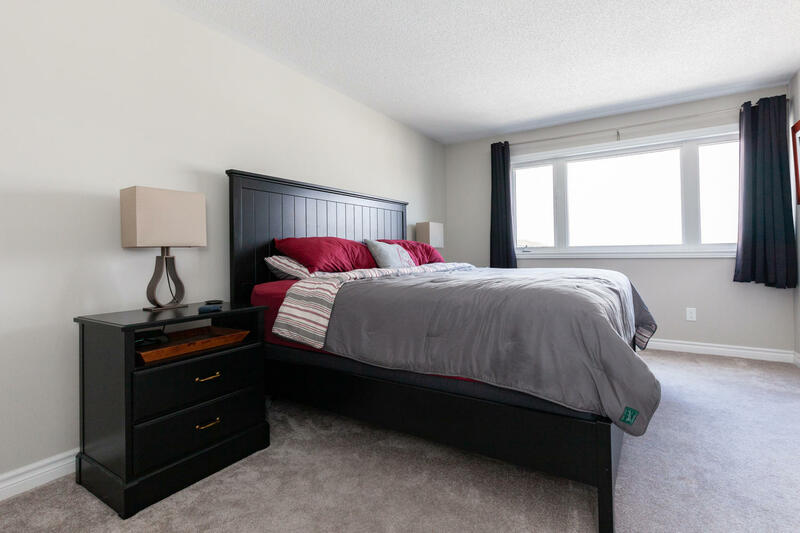 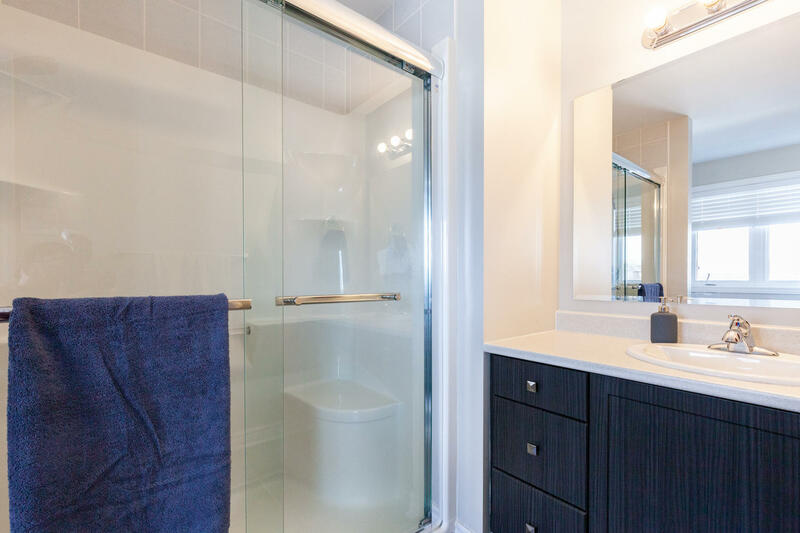 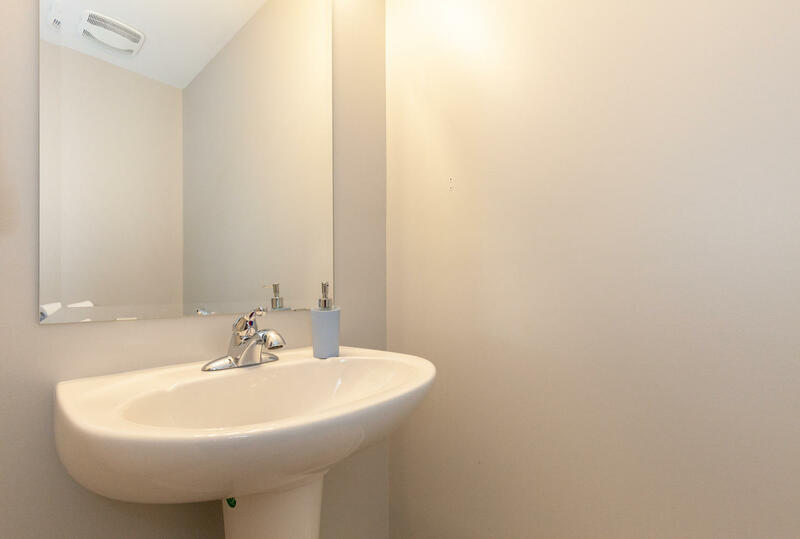 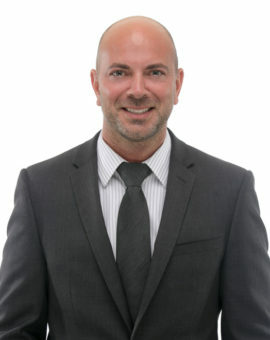 The second floor features a large master bedroom which has been upgraded with a large walk-in shower and soaker tub. 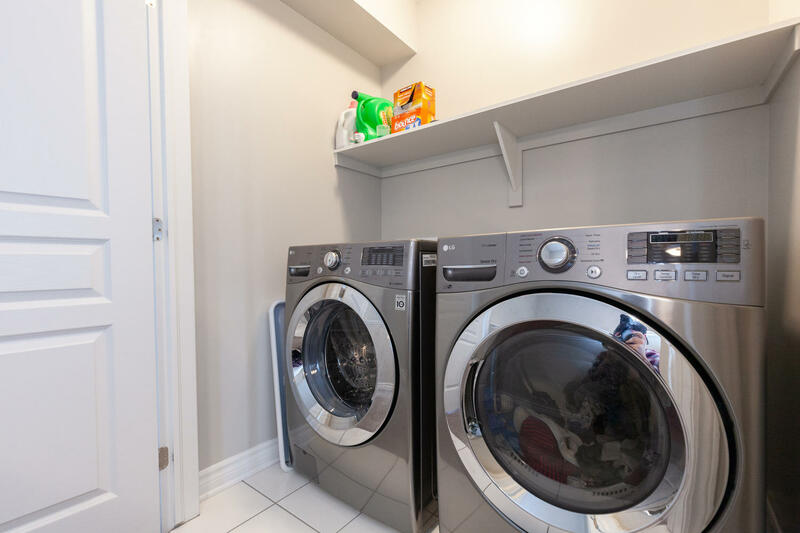 The laundry is conveniently located on this level. 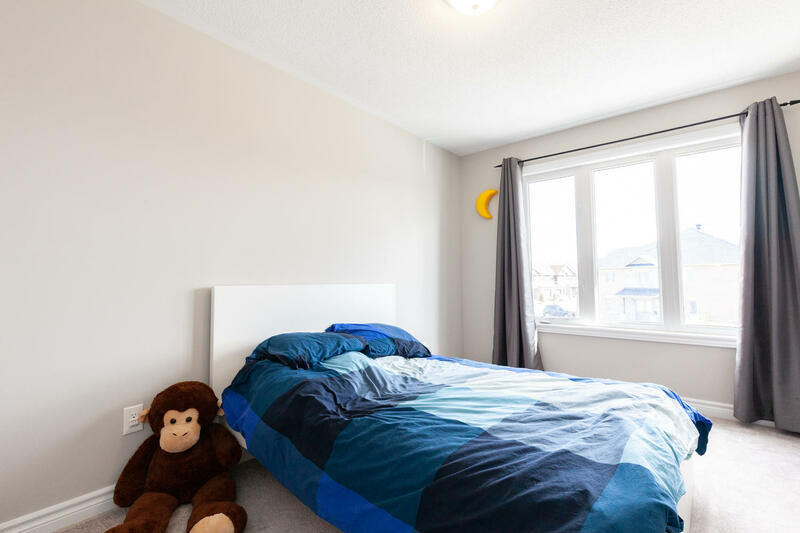 Two other good-sized bedrooms and the main bath complete this level. 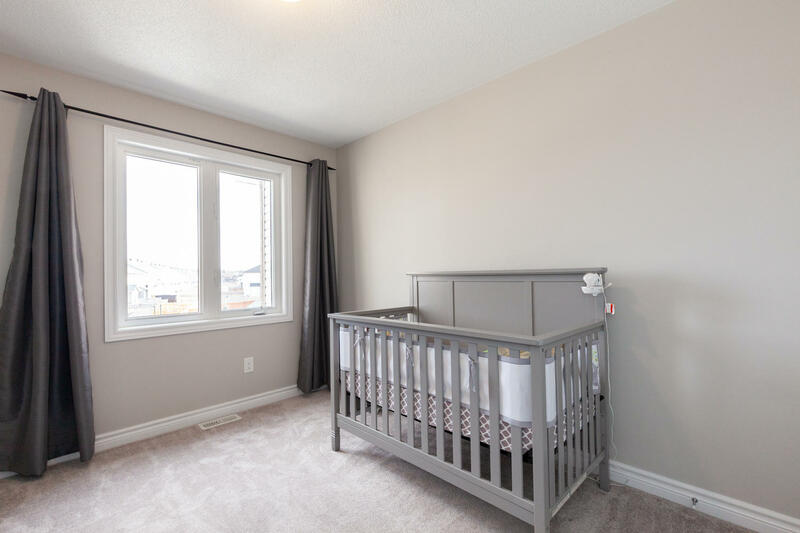 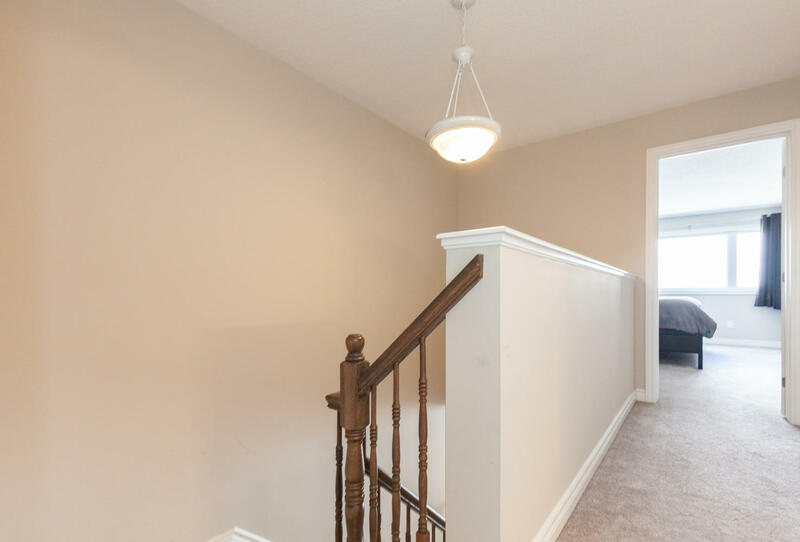 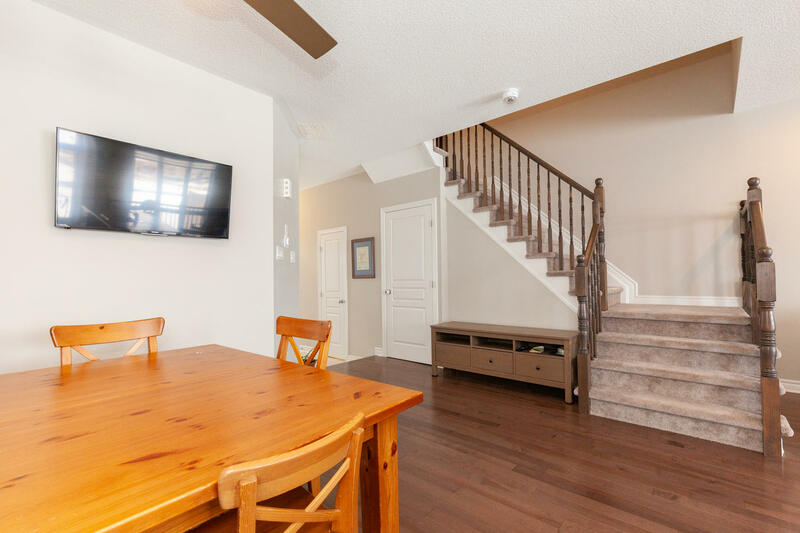 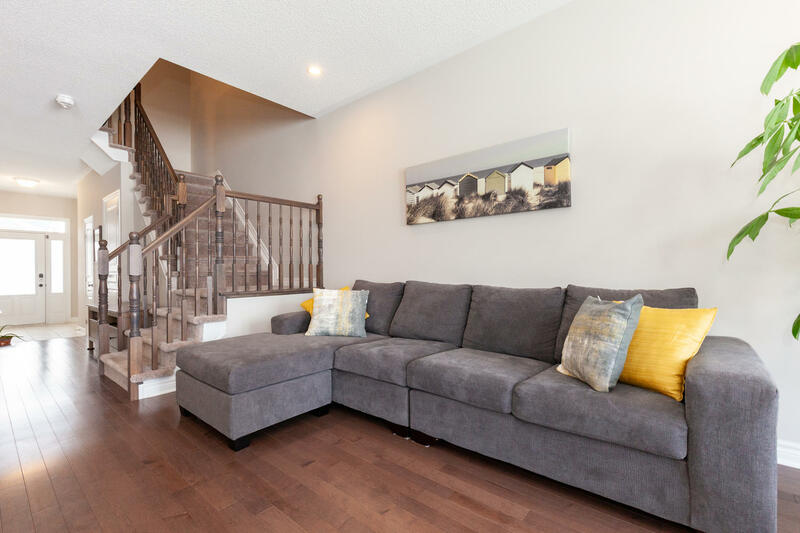 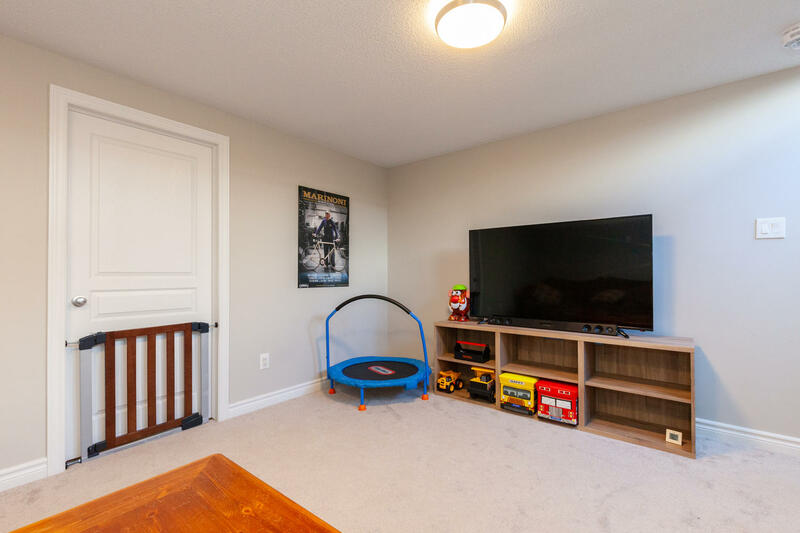 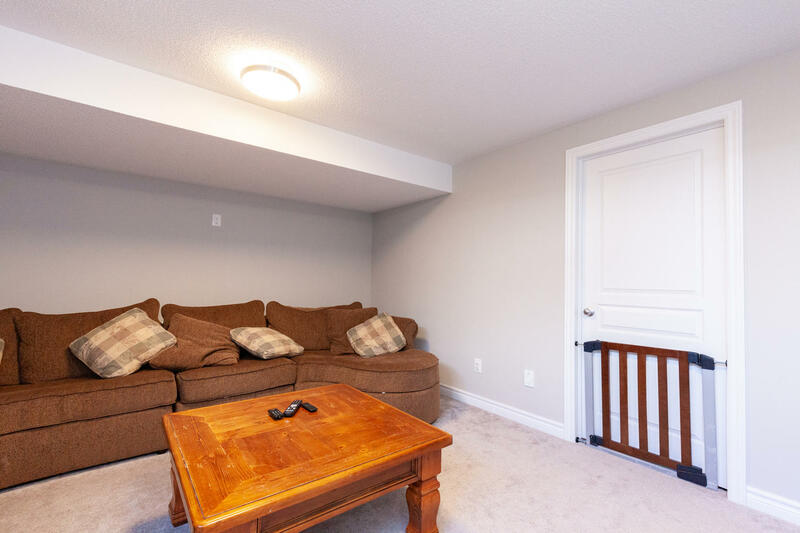 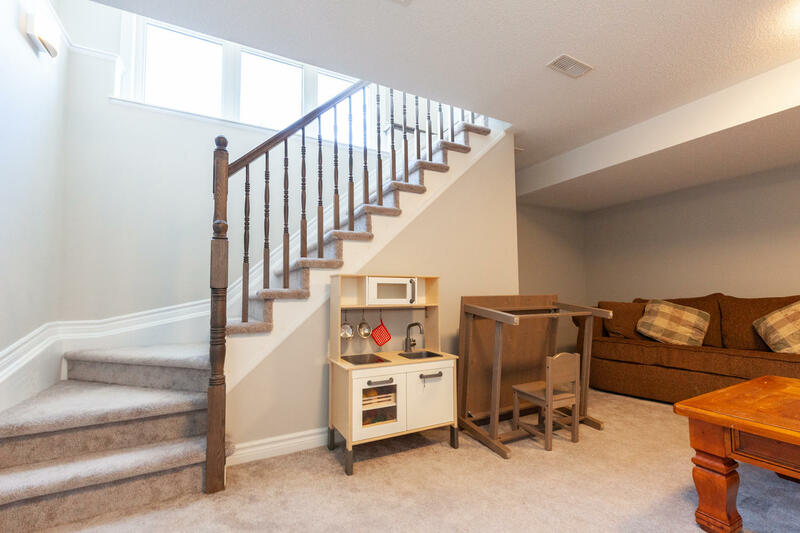 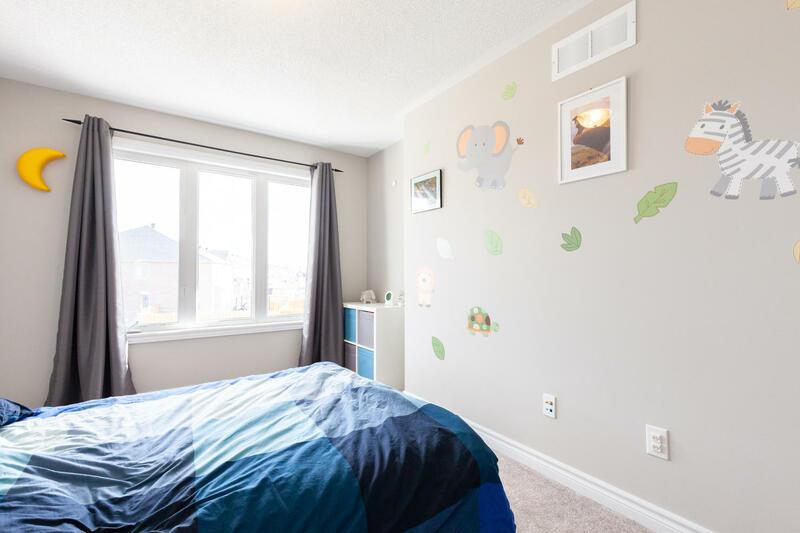 The professionally finished basement has lots of nature light with makes this the perfect place for any family to relax and unwind.